HomeBooks by AgeAges 4-8Bookarazzi: More Celebrity Children’s Books! Then, leave us a comment: We’d love to know your thoughts about the suggestions left on these blogs. 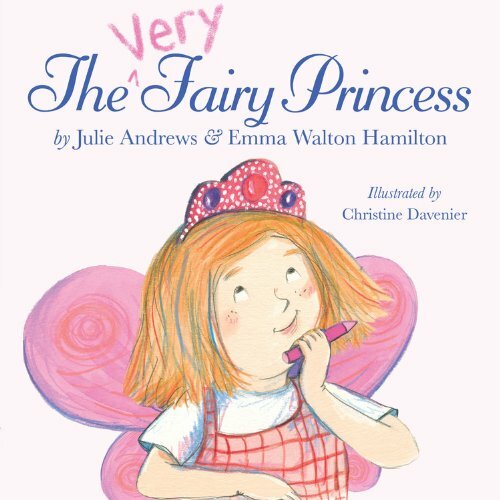 Publisher’s synopsis: While her friends and family may not believe in fairies, Geraldine knows, deep down, that she is a VERY fairy princess. From morning to night, Gerry does everything that fairy princesses do: she dresses in her royal attire, practices her flying skills, and she is always on the lookout for problems to solve. But it isn’t all twirls and tiaras – as every fairy princess knows, dirty fingernails and scabby knees are just the price you pay for a perfect day! This new picture book addition to the Julie Andrews Collection features the joyful illustrations of Christine Davenier, and is sure to inspire that sparkly feeling within the hearts of readers young and old. Publisher’s synopsis: Lily and Salma are best friends. They play together and stick together through thick and thin. But who would have ever thought that ordinary peanut butter or plain old hummus could come between them? Lily and Salma don’t quite understand each other’s tastes, but does that mean they can’t be friends? They understand far better than a lot of gown ups that these things hardly matter and that friendship is the most important thing of all. Her Majesty,Queen Rania’s children’s book is inspired by her own experience. 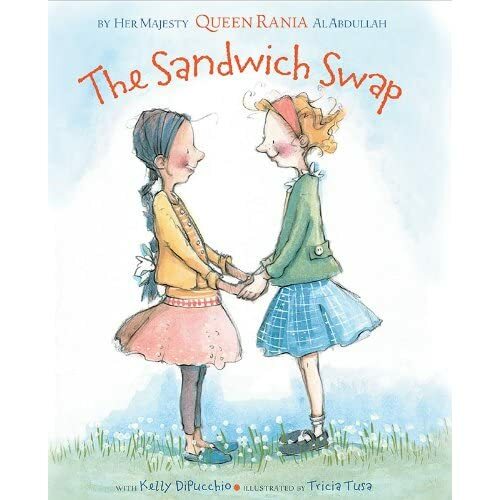 As written by Kelly Dipuchio, it is a warm-hearted and gently humorous fable about two girls who become aware of their subtle cultural differences, only to have their friendship strengthened as a result. Her Majesty travels the world promoting children’s causes as well as cross-cultural understanding and tolerance.